Enigma Strategy & Branding set online an exchange platform intended to help the sales department. Our client Nespresso White Paper commissioned us to create an exchange platform exclusively for its sales representatives, and to help them implement the contracts that they have obtained. The goal was to create a platform that was pleasant and easy to use. 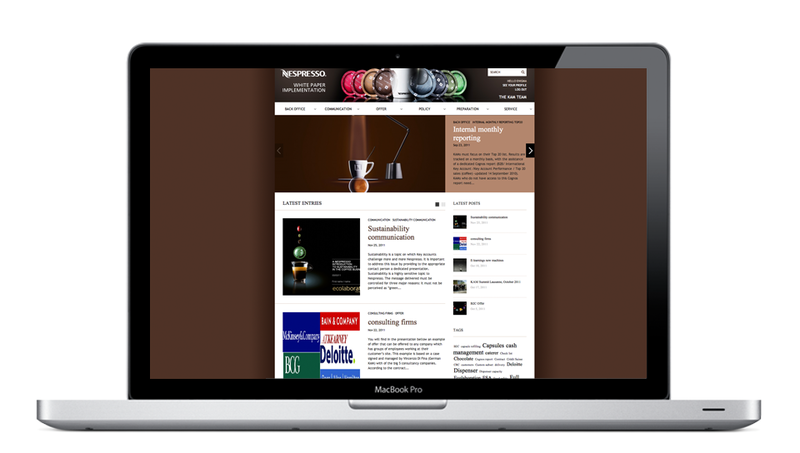 We offered our client a website design that is aligned with Nespresso’s visual identity. Blog articles stand in the center, so that information can be constantly updated, which prevents the static nature of classic websites. The website is more interactive but remains professional; users can make suggestions at the end of each article. The administrator can then respond. 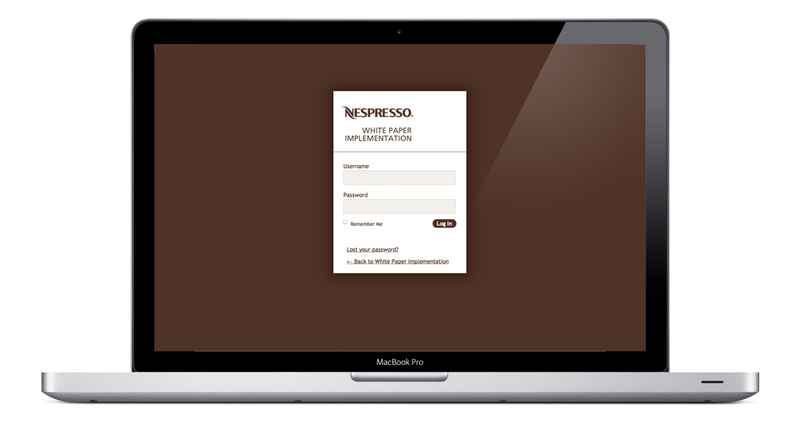 This website is well understood and used by members of Nespresso White Paper.